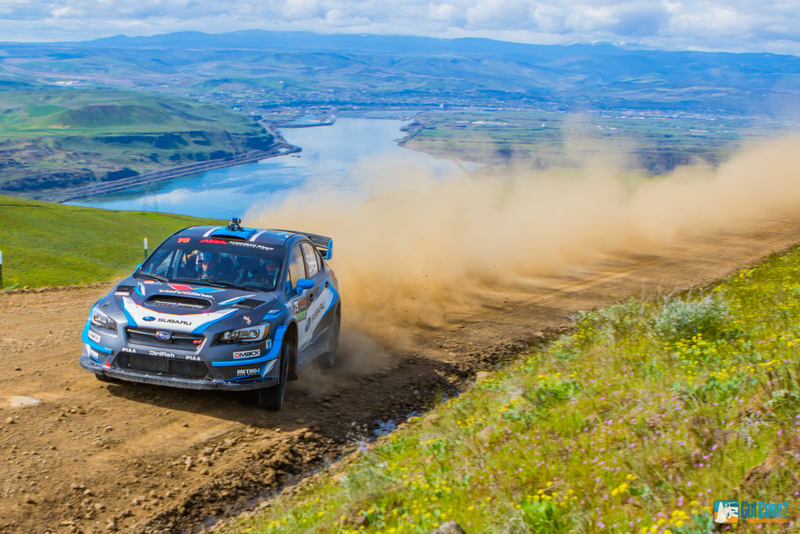 The Oregon Trail Rally never fails to disappoint with it’s amazing stages and the backdrops to those stages. It’d been 3 years since the last time I had made the journey out for the event and I had been itching to go back, so I decided there’s no time like the present. And boy, it did not disappoint. David Higgins and Craig Drew had won the event 6 years in a row and would be looking to keep their streak in tact. 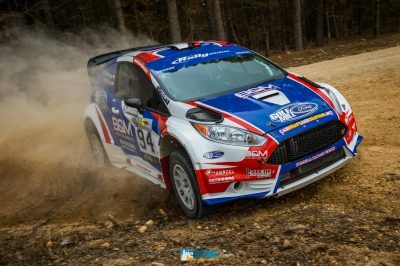 Challenging them would teammates Travis Pastrana and Robbie Durant, Jeff Seehorn and Karen Jankowski in their brand new Subaru and Barry McKenna and Leon Jordan in a WRC prepared Ford Fiesta. Little did Higgins and Drew know what sort of battle they were in for. 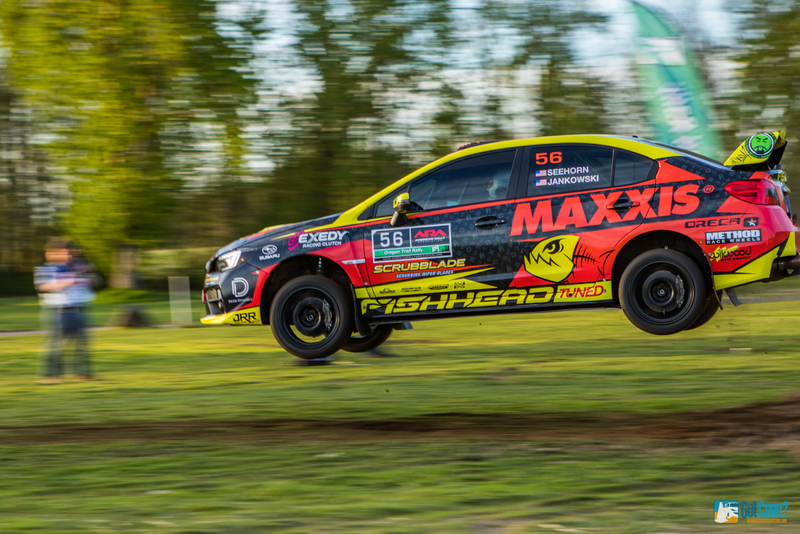 The event kicked off Friday evening at Portland International Raceway with Parc Expose and then 4 stages held in and around the race track and infield. A new rule for 2017 limits the number of tires the fastest drivers can use during an event to just 10. 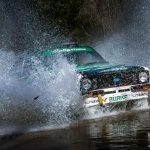 With mixed surface stages scattered throughout Oregon Trail Rally, the choice had to be made whether to use 4 of your 10 tires as non-gravel tires. To complicate the choice even more the stages at PIR were mixed surfaces with tarmac and gravel on the same stage. 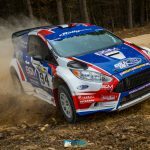 The stages were fairly short on Friday night, but Travis Pastrana and co-driver Robbie Durant were able to grab a small lead over Subaru Rally Team teammates David Higgins and Craig Drew, which they would never let go of. 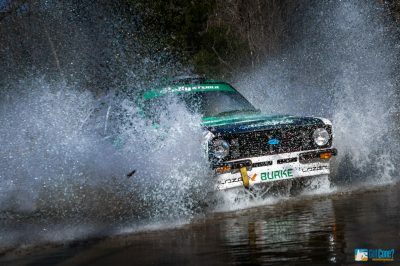 Saturday morning’s stages started with a splash through the famous water crossing, with that stage being run 3 times total that day. Then it was off to the famous jump stage on Boyd Road with the mountains lurking in the background. Unfortunately the clouds were hiding the beautiful peaks. New for this year were distance markers to see who would jump the furthest. To little surprise it was Travis Pastrana who hit the jump at speeds in excess of 100 MPH and jumped 110 feet! Throughout the day Higgins continued to fight back and narrow the gap between him and Pastrana. Just as he was set to take the lead, he suffered a puncture on the final stage and lost critical time. 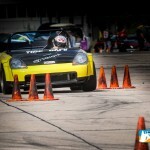 The final result for Saturday left them 14 seconds behind Pastrana. With one day left it was going to be a tough battle for both Pastrana and Higgins. 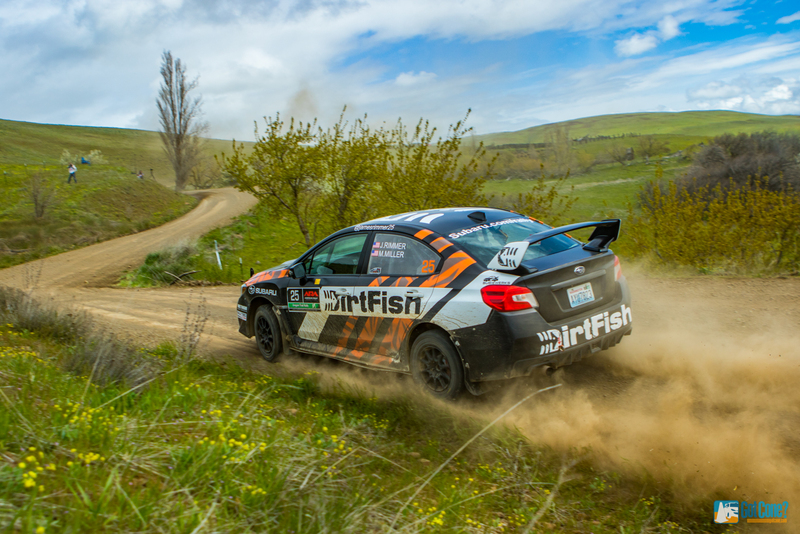 Sunday’s stages consisted of a fairly long stage in the hills above the Colombia River valley (maybe the coolest, most beautiful stage I have ever been to), a few tarmac stages and then mixed gravel and tarmac stages to end the day. 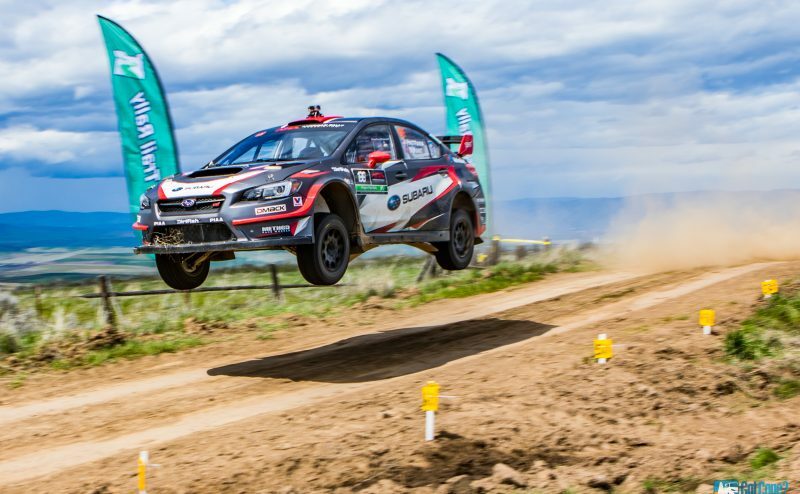 Higgins and Drew fought hard, but the 14 second deficit proved too large and they were forced to settle for a second place spot behind Pastrana and Durant ending their 6 year win streak. 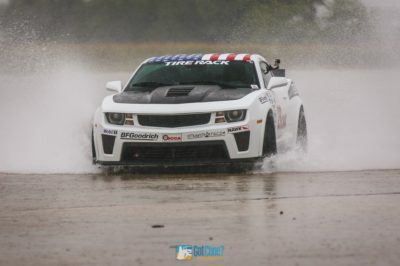 Grabbing the final podium spot was Seehorn and Jankowski, they also secured the top spot in Production AWD class. Ryan Millen and Rhianon Gelsomino also had quite the battle in 2WD. 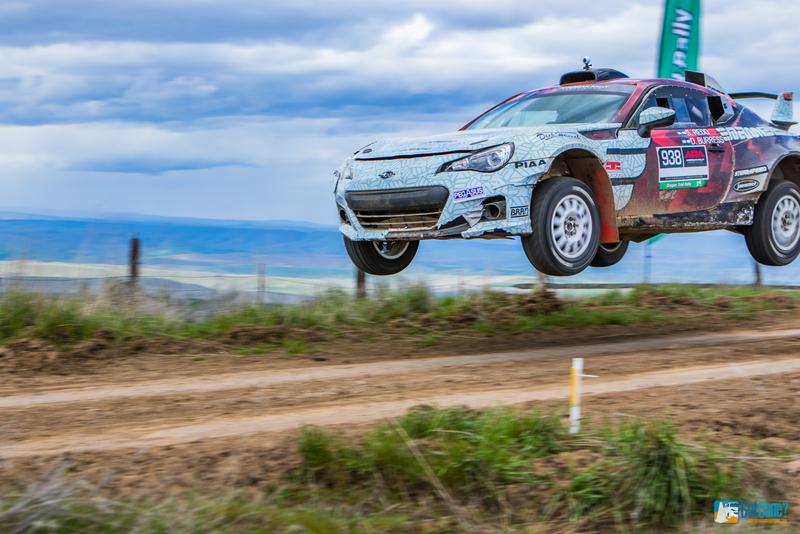 Cameron Steeley and Preston Osborne jumped out to an early lead in their Ford Fiesta R2, but Millen battled back in his Toyota Rav4 and claimed the victory. 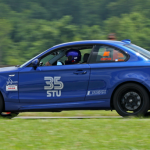 However had Steven Red and Don Burress entered their BRZ in the national competition they would have had secured the victory posting faster times then any other 2WD car. 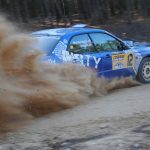 Next up is Olympus Rally on May 12-14. 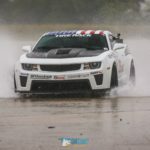 Visit American Rally Association for more details.